Social media is a marketing channel that has long been adopted by travel businesses all over the world. But it’s not just about Facebook and Instagram any longer. Whether you are a travel blogger, hotel, museum or adventure park, your travel brand should be on Pinterest. If used properly, Pinterest is a marketing channel that can give your travel brand a strong boost in website traffic, leads, and even sales. A strong Pinterest profile can help you rank better in Google searches, boosting your brand visibility and website traffic. Combined with a strong funnel and a conversion strategy, you can transform inspirational Pinterest visits into clients. Growing up in a touristic mountain town in Romania, with both my parents working in the industry, I got to see how hard it is for travel businesses to thrive. Both big and small travel brands are striving to get more bookings and are continuously on the lookout for new marketing opportunities. Third-party websites help a lot with generating revenue (think Booking.com), but it’s often smarter and more profitable in the long term to invest in developing your own channels, bypassing high commissions on booking websites. Pinterest is a great place to discover new ideas. In fact, 63% of millennial Pinners in the US use Pinterest to discover new brands or products to buy. The beautiful imagery, the useful content inspire users more than any other marketing channel. 50% of US millennial Pinners say Pinterest inspires them to make dreams a reality, more than any other platform. How beautiful is that? There are a couple of categories that do very well on this visually-appealing search engine. And travel is one of them. A 2017 Pinterest study reports that pins in the travel category get an average of 2 million saves per day! And it gets even better. With 86% millennial Pinners using Pinterest to plan life moments, big and small, during January to June, the standard planning process for traveling brings in an average of 4 million travel saves a day! Pinterest’s 2018 travel trends report says that over 40 million people in the US are on Pinterest every month for travel ideas. Aaaaand, way for it... 1 in 2 Pinners make a purchase after seeing a Promoted Pin! Family travel, budget travel, solo adventures, train travel, filming locations and sightseeing stopovers are popular on Pinterest right now. Let’s be honest, who wouldn’t want to go on a romantic travel across Europe, or visit the Game of Thrones filming location? Good thing we have Pinterest to help us figure out how to get from point A to point B. "Complete Guide To Train Travel In Europe: Traveling by train is the quintessential method for touring Europe. This guide will help you understand how train travel works and how to do it cheap"
Whether you're a huge Game of Thrones fan, or just a casual one, follow these top tips to make sure you have a great trip to Westeros"
Below are three success stories for travel brands on Pinterest. Some involve ads, but you can build a Pinterest profile that helps you convert even without an ad budget. Driving traffic up and campaign costs down. Read more here. Making luxury travel possible with Pinterest. Read more here. Search delivers increased qualified traffic for Carnival Cruise Line. Read more here. Want in on this untapped marketing channel? If your travel business isn’t on Pinterest yet, the good news is you can start any time. You can set up your profile yourself or hire a Pinterest VA to do it for you. Either way, it’s never too late to start exploring Pinterest as a new opportunity to grow traffic for your travel blog or business. Read below my beginner's guide to Pinterest for travel brands. It will help you set up your profile on Pinterest. Plus I’m sharing a couple of boards ideas and tips to help you get you started. Starting a Pinterest profile for your travel business is easy. Just go to www.pinterest.com and create your account. All you need is an email address and I’m sure you already have that. Make sure you sign up for a Pinterest business profile. This gives you access to Pinterest analytics and ads. It’s free and if you already have a Pinterest account, you can upgrade business without any hassle. Here’s how. The first key to a successful Pinterest profile is optimizing the basics: your profile name, description, profile image and location. Make your profile name descriptive and specific to your brand. Whether you are a travel agency, a travel blogger or you run a resort, make sure you add that after your name. Add a specific keyword to describe your niche. If your travel blog or business is specific to a country or even city, make sure you add that to your profile name and even description. The beauty of launching your travel blog or business on Pinterest is that there’s room for whatever you do. As long as you’re investing time in making your Pinterest profile an awesome place for travelers, you will reap the benefits. Hotels, restaurants, tour operators, airbnbs, travel agencies, bloggers, local guides, adventure parks, car rentals and so many other travel businesses can thrive on Pinterest. If you need help setting up your travel Pinterest profile, contact me here and let’s talk! Claiming your website is an easy step. You can do it in two ways: either with a meta tag or by uploading an HTML file to your website. Step by step instructions to claim your website for Pinterest are available here. Making a plan before you start pinning is a strategic step that you shouldn’t ignore. People go to Pinterest to search for travel inspiration even earlier than on other platforms. Pinterest says they start planning around Memorial Day. And they usually use Pinterest to build trips around the most important holidays throughout the year. Even better, 2018 is expected to bring a surge in Pinterest travel searches related to stopovers and long weekend trips. Planning your boards around destinations, content, products and services that people will find useful when planning their holiday travels is a great place to start. Take into account the offers you’re running or the content calendar on your blog (or vlog) to coordinate with travel search trends on Pinterest. With a content plan at hand, you’re ready to create your first boards. Start with one at a time, work on your title and description. I know it’s super tempting to start 5 or 10 boards at the same time, but take your time to do things right the first time. The more boards you have, the harder it becomes to focus on each properly and create catchy, SEO-friendly board titles and descriptions. Boards are not just lists. Think of them as website pages. You invest so much time in developing a good page title and meta description because you know that’s going to help rank with Google. Same applies with Pinterest. With proper SEO for your boards you can actually rank higher with your Pinterest results than with your website. Learn how to add, edit, change and rearrange boards here. You’ve created your first boards and now you’re ready to pin. That’s great! The fun part starts now. You should have at least 10 pins in each board. You should avoid spamming and over-pinning. Quality, consistency and timing beats frequency. There’s a tendency to overflow Pinterest with pins and repins. But you don’t have to pin 100 times a day to get results. The secret is in the quality of your content, the timing and the consistency. Read myth no. 6 on the Tailwind blog for more on how much you should pin daily. “Follower growth generally increases as you Pin more, but will flat line somewhere above 50 Pins per day. Pinners going above 50 Pins a day see a large drop off of Repins. Engagement drastically suffers above 50 pins. - and take your pinning to a new level. 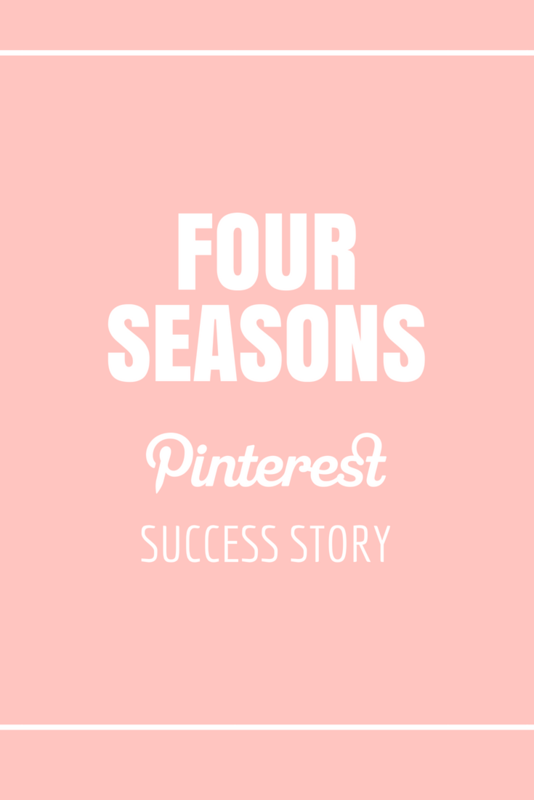 Scheduling solution for brands on Pinterest and Instagram. There’s even a limit to how many boards and pins you can have. Pinterest says you can have up to 500 boards and 200,000 pins. It’s hard to imagine though that someone could run a Pinterest account with 500 boards and not lose their mind pinning daily. You should definitely pin your content, but it shouldn’t be all about yourself. Look for great pins to add to your boards and pin away. Search for fellow Pinners passionate about travels and follow them. You should pay attention to your pins’ descriptions. Make it a combination of good SEO + copywriting. You should know your buyer personas and create travel pins that will serve their purposes. You should take advantage of the beauty of rich pins. These are pins on steroids. They give Pinners more context by showing extra information directly on a Pin. Their purpose is to indicate trust with Pinterest (it’s also one of the reasons you should verify your website). There are four types of Rich Pins: app, product, recipe and article. Read more here. These are free and most website platforms have this feature well integrated. Learn here how to create a pin. Success! Pin saved to my board "Marketing Blog"
To get engagement and results from Pinterest it is essential to have a website that is friendly to Pinners. This means you should make it easier for visitors on your travel website to save your content through share buttons or Pinterest save buttons on actual images. Most website building platforms already have Pinterest follow and share buttons integrated. But if you’re looking for an alternative, you can use the free Sumo share features (*affiliate link). Looks pretty neat and comes integrated with other social networks. I use it for my Squarespace and Wordpress websites. Here's an example of how Sumo's * share buttons look integrated with a blog post on Squarespace. (* affiliate link). An important step to take on your website is to optimize your funnels for conversions. Be it subscribers for your email list, bookings on your next tour or reservations at your resort or Airbnb. Consider what people would search for and create your pin with a related inspirational image, use a SEO- friendly description and link to a blog post or landing page that provides awesome, useful content. Don’t forget to include conversion opportunities on your website and blog. Either you redirect to your travel offers (services page), or prompt a content upgrade inviting visitors to join your email list. Congrats! You have launched your travel brand on Pinterest and you are ready to inspire the world with your trips, photography and advice. Let everyone now! Example of a Pinterest CTA integrated in a newsletter sent by I Like That Lamp. What are group boards? Read here to learn more. Ready to use Pinterest for your travel brand? There are so many fun ways to integrate Pinterest in your content marketing. If you need help planning your strategy for Pinterest, I can show you how to make this new marketing channel work for your travel website. Book a free call with me and let’s see what your brand needs.